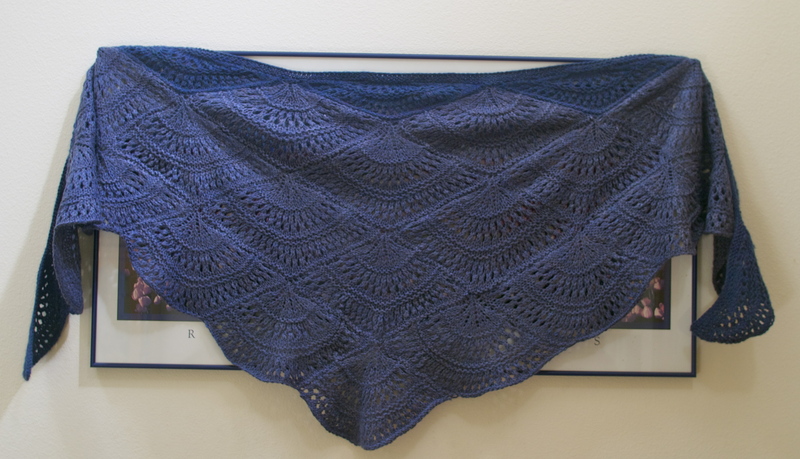 So you know that shawl I posted from my stash just the other day… well yesterday and this morning… I finished it! 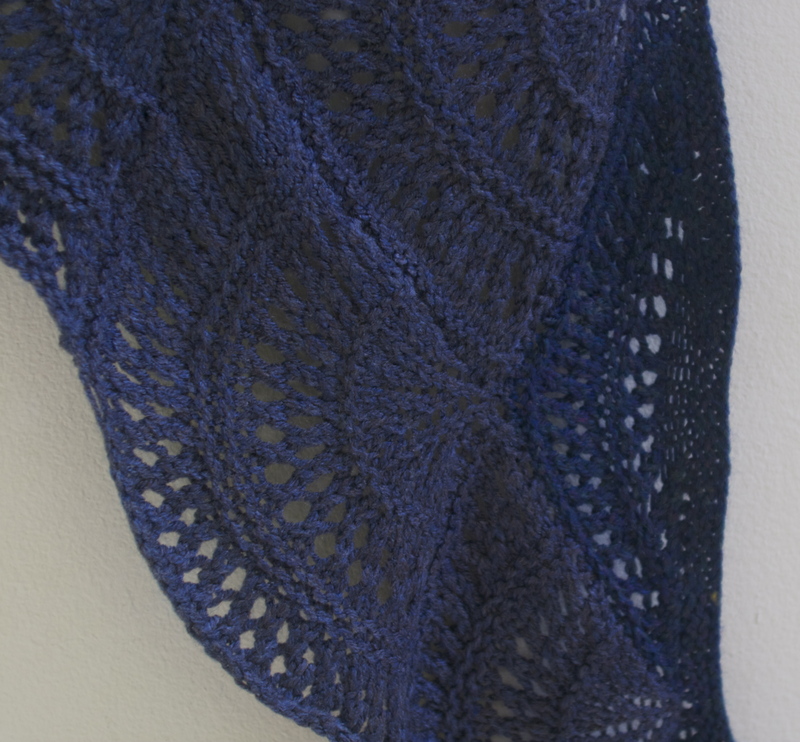 This shawl has been in my stash for a very long time… it had two of the half fans that form the top border on stitch holders and just hanging out because I ran out of yarn. It was the first modular design piece I decided to try. Since it was a learn to do it project… I used stash yarn that I picked up… likely from the clearance section of the yarn shop, and didn’t have enough as it turns out. So I ended up finishing it with a later not-quite match. Now…. the philosophy ramble…. (skip to the end if you want the pattern link). I don’t tend to worry about gauges when I’m testing out something to see if I can do it. I don’t plan nearly as much as I probably should… but since I am in more of the beginner stage of knitting, I don’t think that is a bad thing. I could see where this would be an issue later on when I want to make a sweater, or to get the right fit on socks and gloves, but for learning the principals of stitches and patterns on scarves and blankets it really doesn’t matter. If what I want to know is… can I figure out how to SSK/cable/double-knit something… it does not bother me in the slightest if its 30 inches instead of 36, or vise-versa. No one else but me has any idea how its supposed to turn out anyway. Sure, I could follow the recommended yarn brand, which would have cost me about $60, and it would probably be worth it… but the whole time I’d have started the project I’d be fretting about cutting up that beautiful and expensive yarn. Or I can test out a pattern and not worry about the yarn for about $10 on the same project. If you are learning and you see a pattern you like and want to try, don’t fret over having “Super-silk-cashmere-yarn-of-Amazeballs™” just bust open your yarn stash and get to work with what you have! Learn something new… and find what you love. And with that… here’s the pattern.